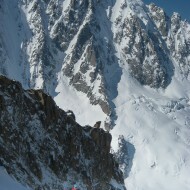 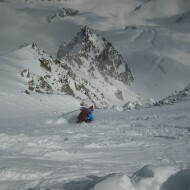 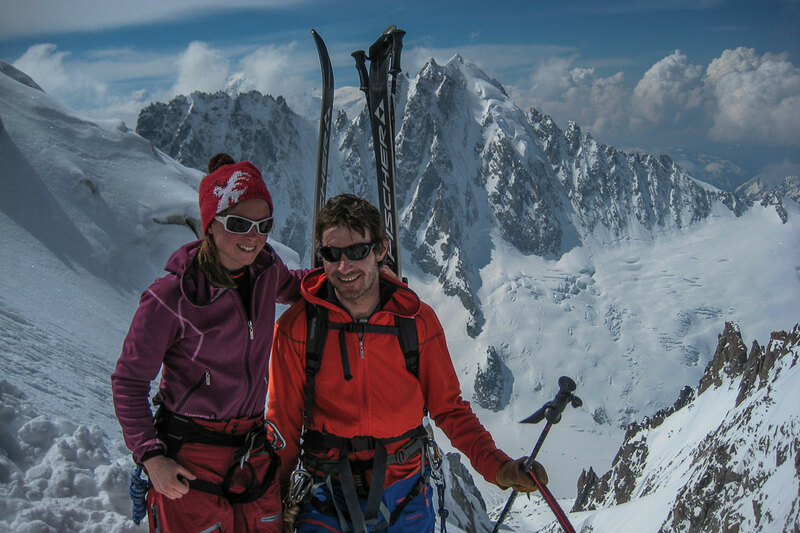 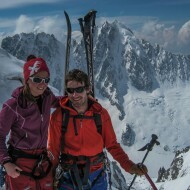 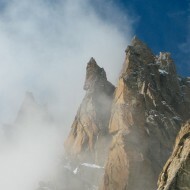 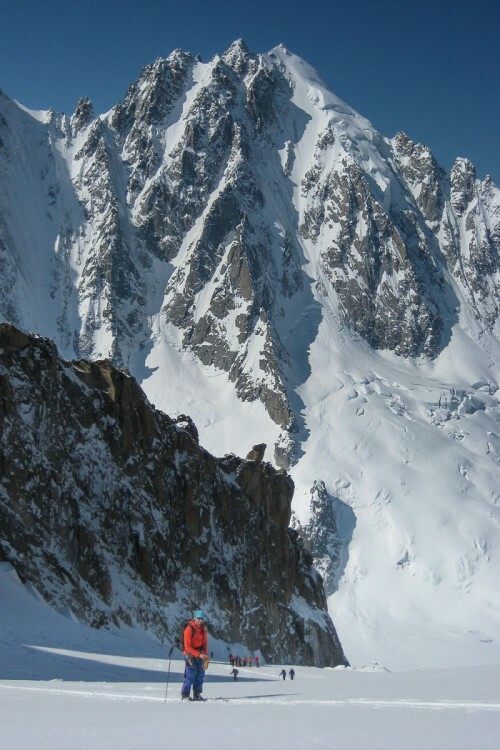 Skiing Couloir Barbey on the north-east side of Aiguille d’Argentiere – with Wolfgang and Eva. 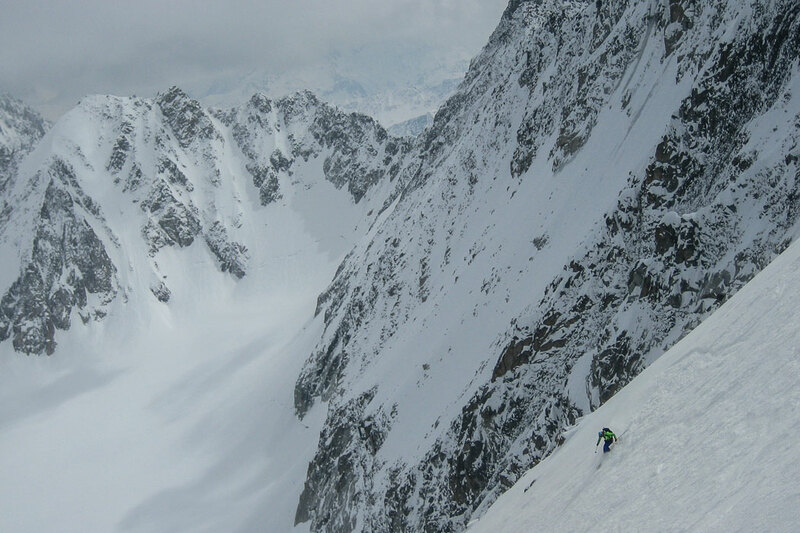 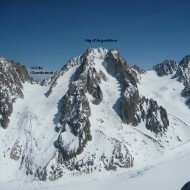 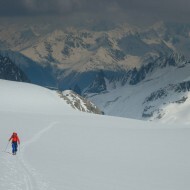 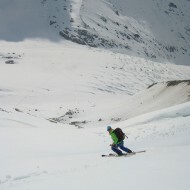 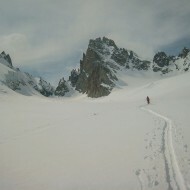 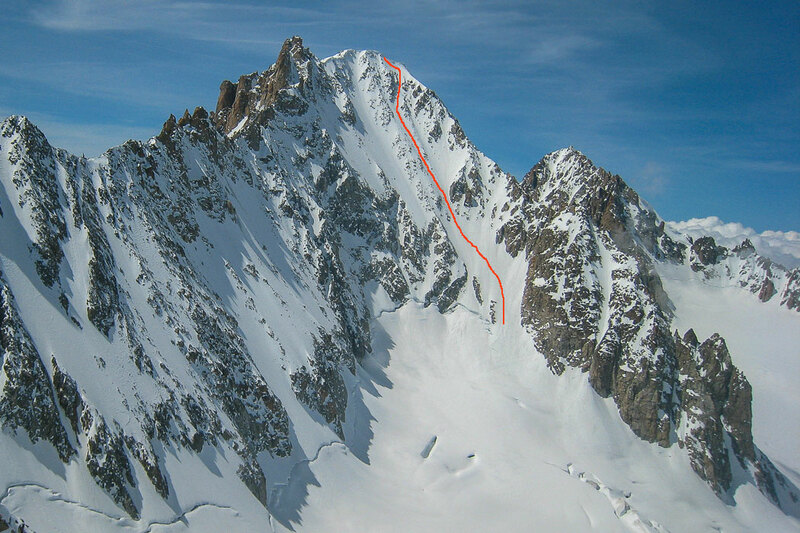 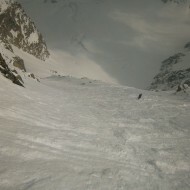 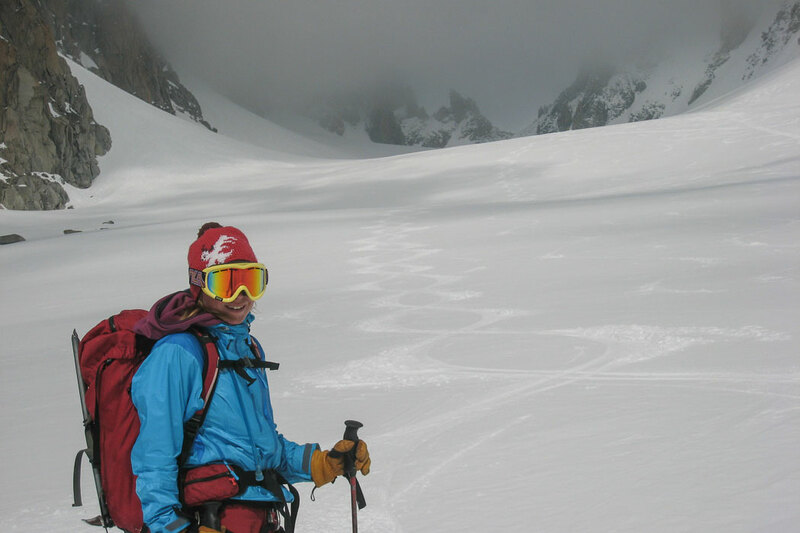 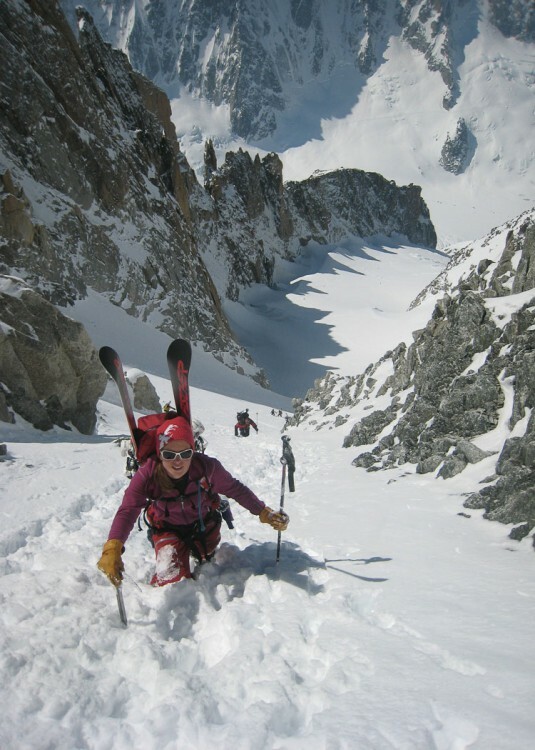 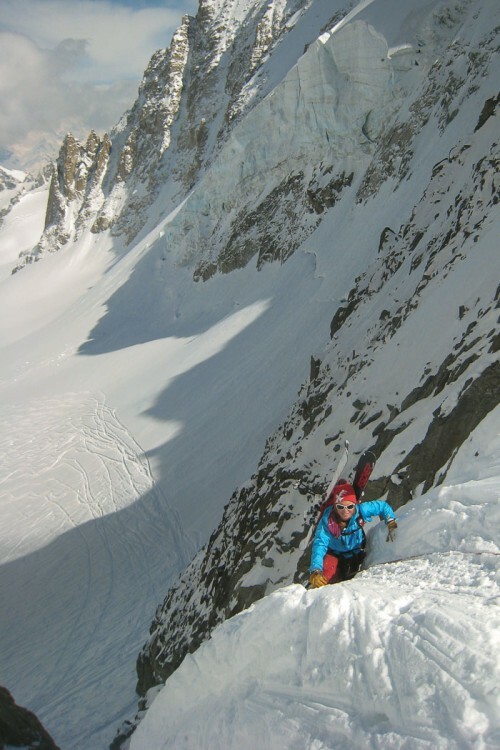 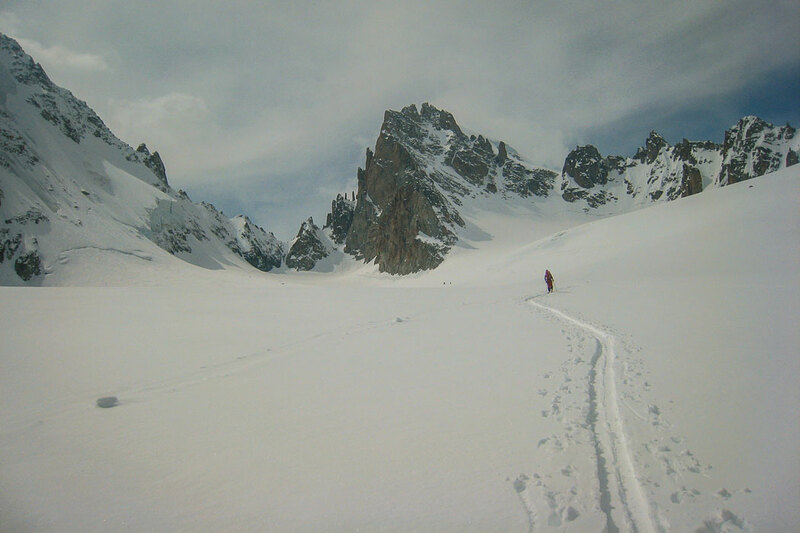 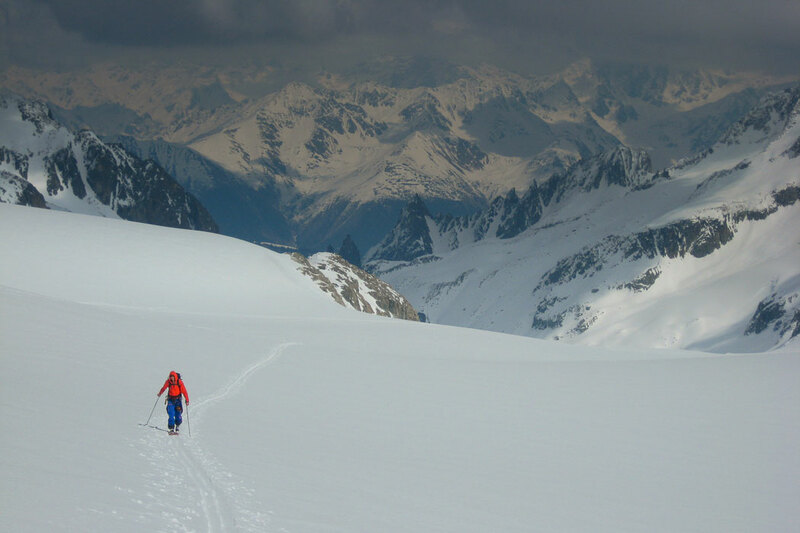 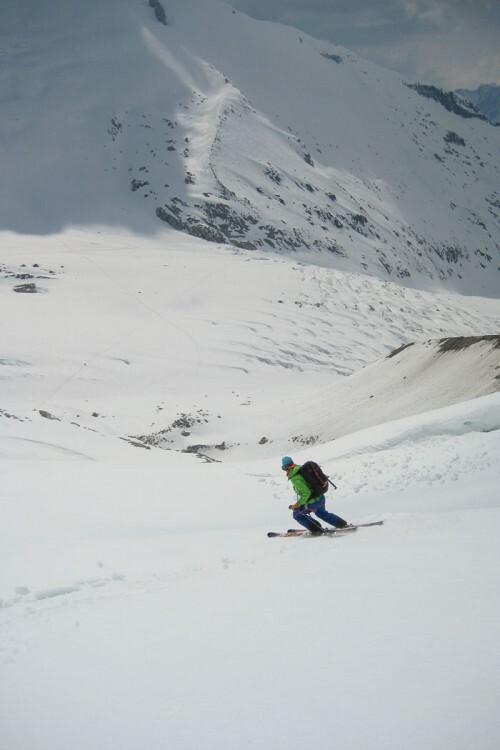 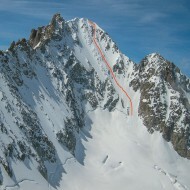 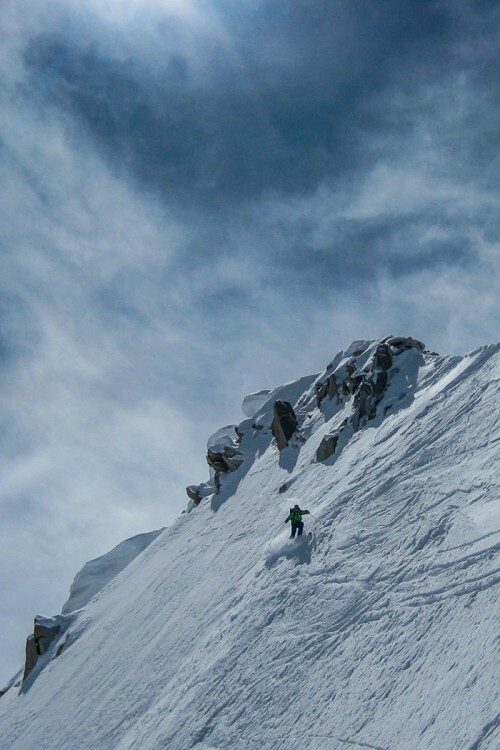 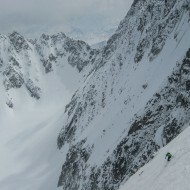 Barbey couloir is a big day out ski touring from Grands Montet cable car. 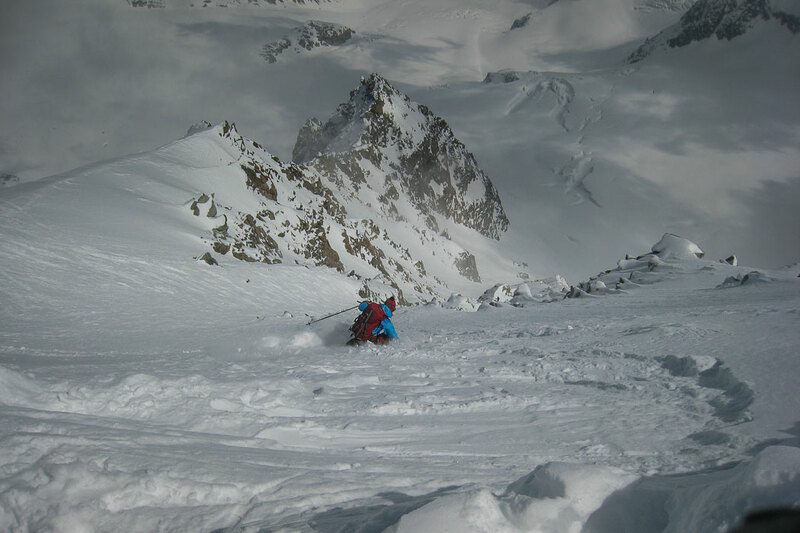 The climb up the Milieu glacier is about 1200hm, then there is another 600m uphill to get back over Col de Chardonnet, which was the bonus ski of the day in perfect, creamy corn snow. 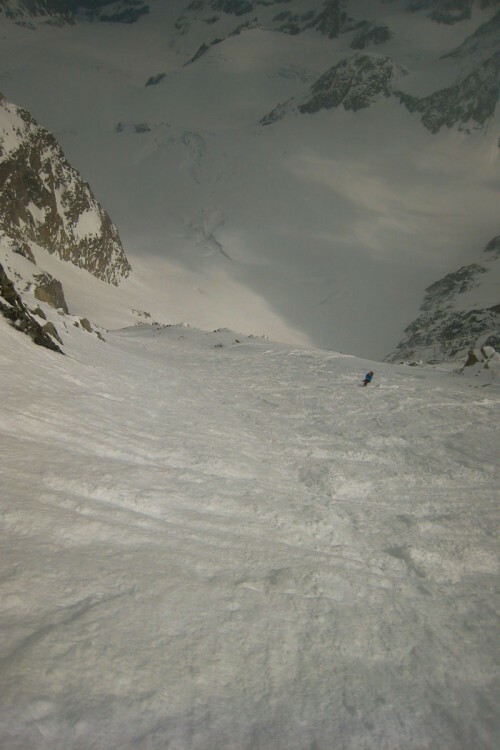 After a few sunny days there were tracks before us, but still cold powder to be skied in the Barbey, that is in fact a fairly large face rather then a couloir. 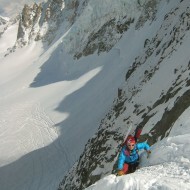 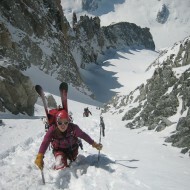 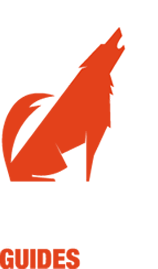 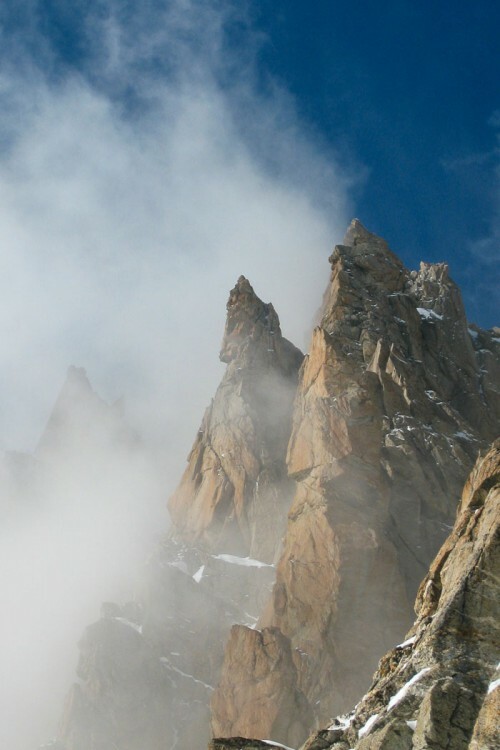 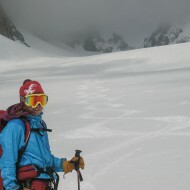 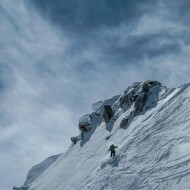 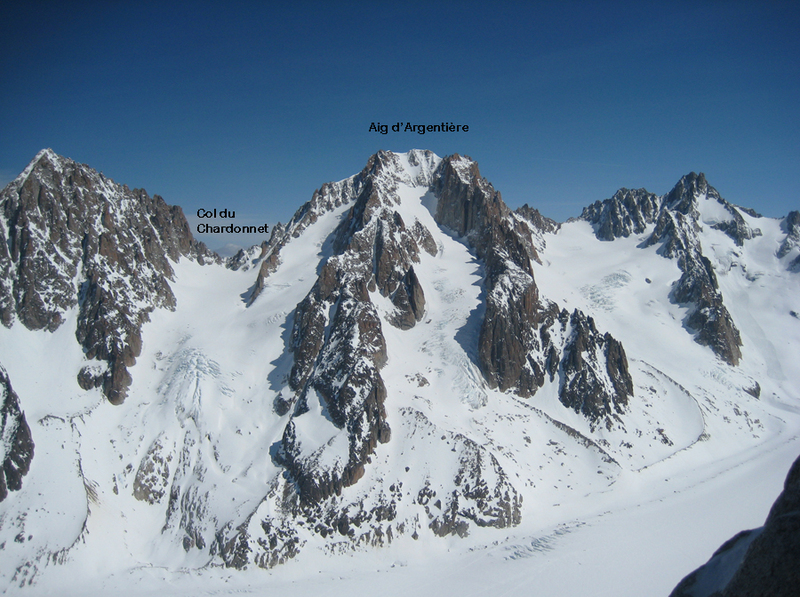 More information about skiing Barbey couloir at Camptocamp.